Keep her warm and cozy this cold weather season in the Patagonia® Dream Song Jacket. 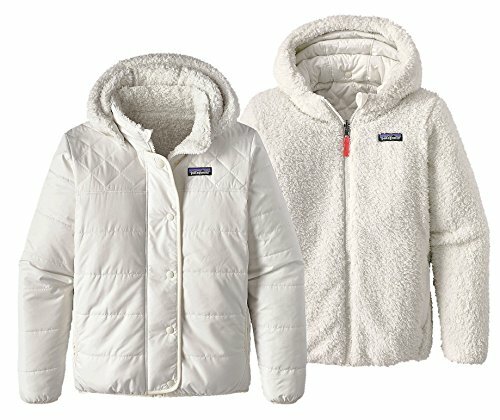 A fully reversible style, your girl will love both the protection of the sleek shell and the super-soft fleece on the reverse. Reflective elements enhances safety while wind flaps and secure bindings keep the elements at bay. Thermogreen insulation adds warmth to this super cute Patagonia style that will be her favorite all season long.